18 cm p. : col. ill. Reprint. Published in Scotland. This translation originally published: 1990. All through the winter the Root Children are asleep underground, but when spring comes Mother Nature wakes them up. Then the Root Children are busy cleaning and painting the beetles and bugs. When summer comes they play in the fields, ponds and meadows. 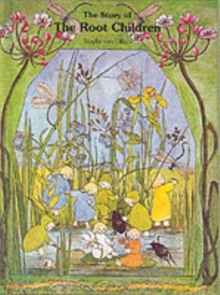 This is a mini-version of Sibylle von Olfers' classic story.